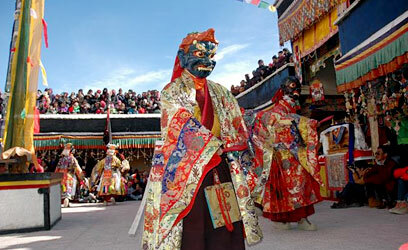 Hemis Festival in Ladakh is celebrated annually on the 10th day of the Tse-Chu, Lunar month of the Tibetan Calendar. 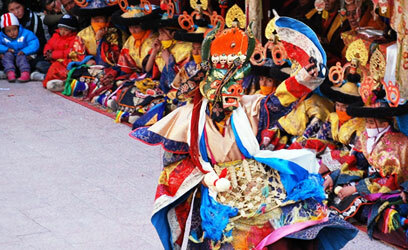 The 2-day fiesta marks the birth anniversary of Guru Padmasambhava. 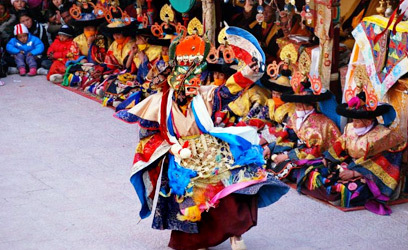 On this day, Hemis Monastery is adorned beautifully to host the ceremony. 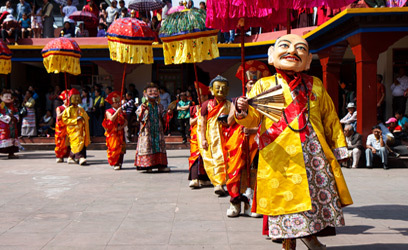 The colorful festival showcases the beautiful handicrafts of the area. 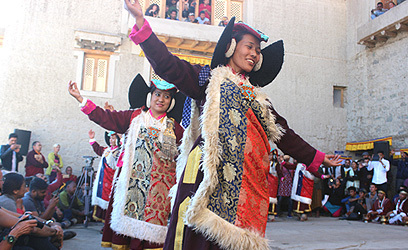 Natives also dress up in lovely traditional attires and gather in the courtyard of Hemis Monastery, the biggest Buddhist Monastery of Ladakh. 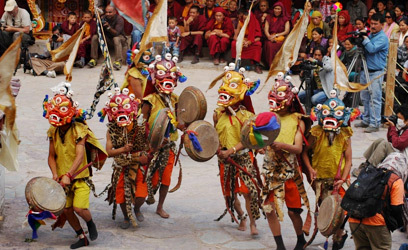 Lamas dance around central flagpole to the tunes of drums, cymbals and long horns. 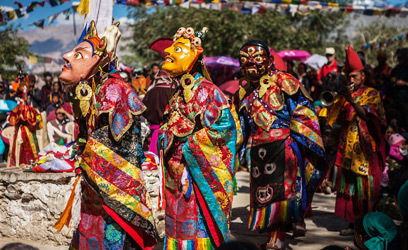 The otherwise cold-barren desert comes to life during Hemis Festival. 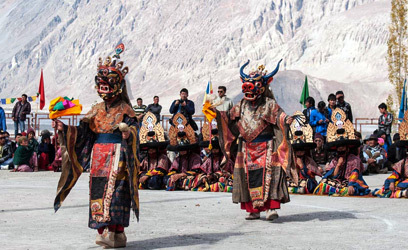 The masked dances also known as ‘Chham Dance’ depict the triumph of good over the bad are the highlights of the Hemis Festival of Ladakh. 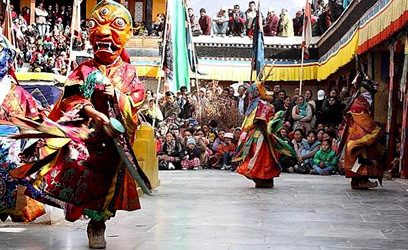 These must-watch dances are also accompanied by sacred plays which keep spectators amused. 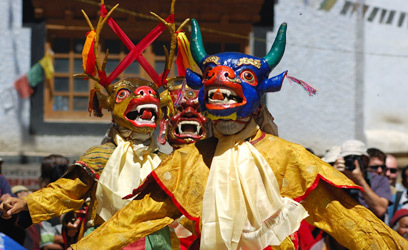 Vibrant costumes worn by the Lamas also grab the attention. 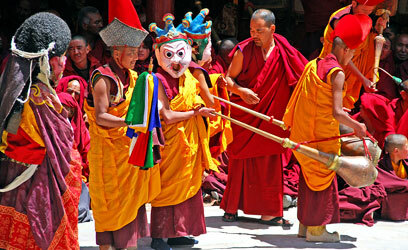 As per traditions, monks are supposed to wear long gowns, elaborate masks and a headgear. 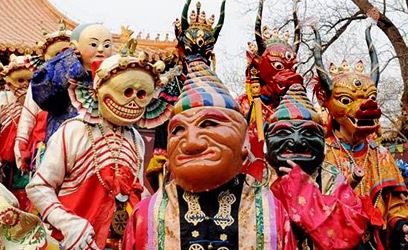 Every mask holds a special significance associated with it. In the end, a sculpture made up of dough and representing the evil powers is destroyed by the head of Black Hat dancers. This implies warding off the evil spirits. The broken pieces are then thrown in four different directions. The ritual indicates purification of soul after death. 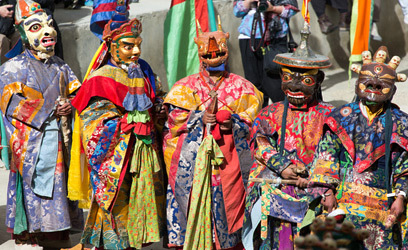 ‘Devil Dances’ are also vital aspects of the fiesta. ‘Chang’, a local liquor is served to the people during the festival. 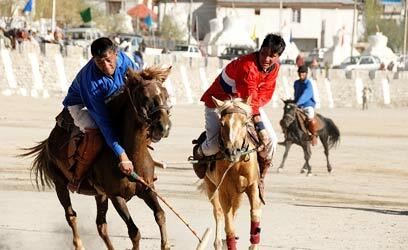 Exhibition of striking handicrafts adds to the charm of the gala. 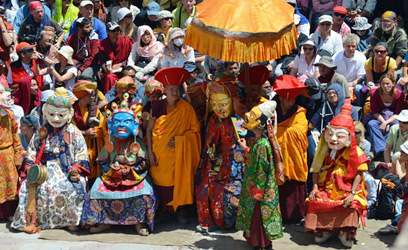 The head Lama or ‘Rinpoche’ is the presiding person of the event. 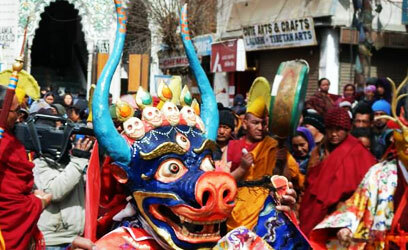 The Tibetan Year of Monkey aka every 12th year adds to the fun quotient. 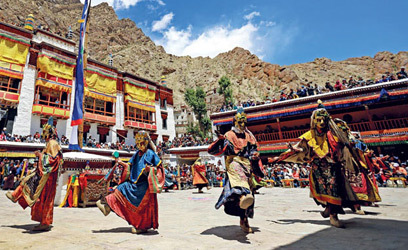 Ladakh gets submerged in a strong wave of faith and spiritualism as the largest thangka (as high as two storeys of a building) of Guru Padmasambhava is showcased with great zeal. Various people gather to witness the thangka decorated with semi-precious gems, stones and pearls. 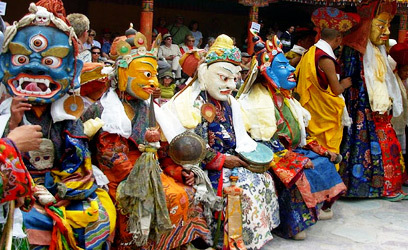 Hemis festival of Ladakh is going to be celebrated from 11th July to 12th July, 2019. 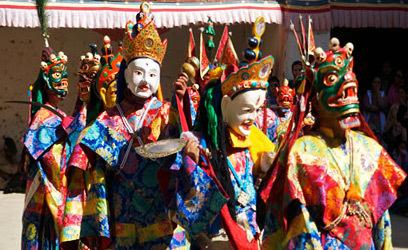 Besides being celebrated as the birth anniversary of Guru Padmasambhava, the Hemis Festival marks the victory of good over the evil.